Have you read the Hunger Games yet? I first heard about it on Busy Bee Lauren (one of my daily reads, love that girl!). Her raving posts convinced me to give it a try, and I wasn't disappointed. I read the first in two days and now I'm diving into the second. 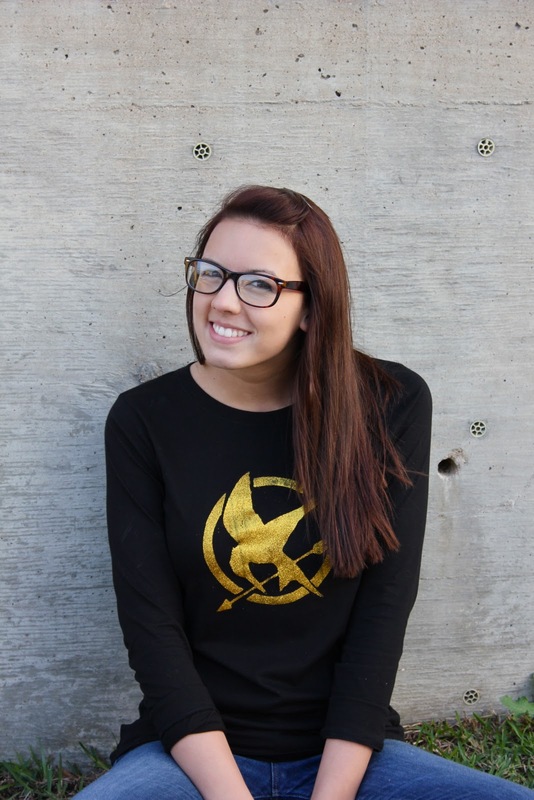 So when Plaid sent me their "Simply Screen" Screen Printing Kit, I naturally thought I should make a Hunger Games shirt. Now I have something to wear to the movie premiere in March. The kit comes with everything you need for screen printing including three colors of paint. However, I decided to use Plaid Gold Dust paint and the gold glitter (that are sold separately) for this project. I started out by printing my image (Modified from this source). Then inside the box, I put my image face down on the sticky/textured side of the stencil canvas. I placed a thin sheet of clear glass stolen from a picture frame on top to ensure that I got a crisp, clear image. Once I had everything in place I put the hood of the box back on, turned on the light, and let the image "cook" on to the screen for 25 minutes. In tepid water I scrubbed away the image, leaving a fine mesh behind that allows paint to seep through. What I love about this kit is that the stencils you make can be used over and over again. Now I have this awesome Hunger Games stencil to use on more shirts, bags, etc. I taped the stencil in place on my shirt. and used the provided tool to pull the paint down through the screen. Be sure to have something in between the front and back of your shirt to keep the paint from going through both layers. Then I just lifted up my stencil very carefully. I didn't really pull the paint down evenly so I ended up with a few streaks. No worries, the glitter hid my mistake quite nicely. Normally you'd use Plaid's glitter adhesive if you want glitter in your final product. I'm loving the final product! What do you think? If you'd like a scanned copy of the template I used, email me! I'd like to include it in the post as a pdf download but I'm not that tech savvy. Anyone know how to do that and willing to teach me? Thanks! You guys are awesome! I think I figured it out. Thanks so much! I loved those books! And I can't wait for the movies! Could you send me your template? oh, those books are AMAZING!! I just finished them before Thanksgiving, and was literally SCREAMING at my empty apartment I was so excited. And the shirt looks great! Maybe I need a new tote bag, or something! um, heck yes! i am so glad you have joined in the love of the hunger games books. 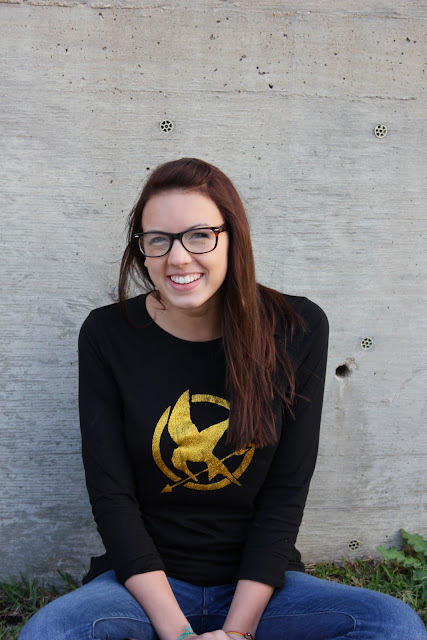 and lauren is one of my favorite people ever for loving the books (and most importantly, peeta) as much as she does. I love this design!! If I sent you a shirt, and a few bucks, do you think you could make another for me to stick in my husbands stocking?! He would absolutely love it. i LOVE it!! and i LOVED the first 2 books. 3rd one, for me, was a bit of a disappointment. i swear that you read my mind. i was on etsy yesterday looking for hunger games stuff, not to mention that i re-read the series this last week and have watched the trailer only a million times... i sound a little obsessed. anyway, i love your shirt! I just bought the stencil set and have not had a chance to try it out. So pleased to read your positive review. oh man i'm so jealous! i wish i could make one too. ahh that book was SO good. I read them all at the beginning of the semester, I just could NOT put them down. Your shirt turned out GREAT! I'd LOVE a PDF of your template - if you download the CutePDF program, you can turn it into a PDF that way (basically, you click like you're going to "print" a picture, and when you select CutePDF as your "printer", it makes a PDF of the file. Super easy!). I would totally buy that screen-printing product, too - but we don't have Hobby Lobby here in CA! =( But I will suffer through freezer paper stenciling for a Hunger Games shirt - OMG I love that book series, and I'm so excited for the movie! I love the Hunger Games! I asked for a Silhouette for Christmas... but if I don't get it I will have to try this out! P.S. - you are ridiculously adorable. This is amazing!! I love how sparkly it is. I've read all 3 of the hunger games book.. twice! Haha. I love them! Second, I love all of your fashion tutorials, but this one might be my favorite :) You are too stinkin' cute too. To make downloads available, I've always used 4shared.com It's free for basic use (which is all I've ever used). You upload your file, and then click to get a download link. then post the link just like making any other link in your post, and it will take people to the download page. An easier way would be to save your pdf as a jpeg, and add it to the blog post like an other picture. It'll be sized to fit the blog, but when you click on the image, it should be full-size, letting people save it from there. I love the Hunger Games! Thanks for this great idea! Love the shirt...what a fun idea. Super awesome! I have a handful of friends who loved the books! Unfortunately, I haven't read them yet. If you use gmail - You can share a google doc via a link and people can download the document (PDF, txt, etc...). You can make it where they must have the link to open the PDF or make it a public link. Oh my goodness so cute! You have the cutest blog, tons of great ideas! Great job! People are going to want to buy it from you at the premiere. Ooohh!! 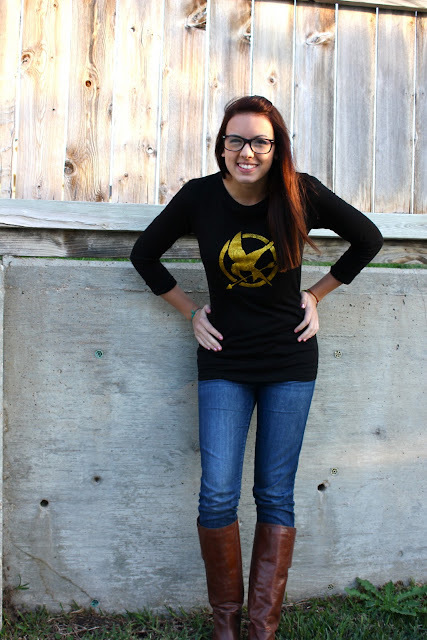 i am going to have to make one so I can wear it when the movie comes out!! How is the glitter holding up? Is it staying on the shirt well? Have you washed it yet? Can we be friends in real life? ;) love your blog. You are so talented! I haven't tried washing it yet. You set the glitter with a hot iron before wearing so that helps to keep it from flaking off. I just moved and your post about Hunger Games inspired me to go and get a library card from my new local library. It has been hard to put it down! Love the screen printing too. something I need to try soon :) Thanks for being creative and inspiring. I love swinging by your blog to see what you have going on. Thanks for the recommendation! I just finished all three books in about 4 days! Love the shirt! can't wait to try something similar! I was wondering if you had some kind of sealant to put over the glitter so that the shirt could be washed? Loved the idea, by the way! Thanks for the idea! I freehanded mine using acrylic paint (store didn't have a nice gold color or fabric glitter). I love all of your tutorials. Have you run in to any problems when washing the shirt? I love this. Great DIY! I did a similar thing with a template where I made a large, glittery pin and put it on a black shirt, because it was cheaper than the screenprinting. I love this design and am on my way to making my own shirt! However, as you posted, I'm having a difficult time sizing the template to fit on the Screen. How did you size it to fit? Please let me know! What brand of glitter did you use? This is so cute! Making this for the premier =) My email is maryhirt@gmail.com if you could get back to me, thanks! SO CUTE!! Can you send me the file? I adore this design and design and am on my method to making my personal shirt! However, when you posted, I'm getting a challenging time sizing the theme to suit inside the Screen. How do you sizing it to fit? Please allow me know! I literally just did this, and it turned out fabulously! It was so easy! The finished product looks amazing! I'll be wearing it to the midnight premiere tomorrow! Nestled in the untamed terrain of Mindanao, Siargao can be a little island supplying much more than just the white sandy beaches typical for the Philippines. Its coastline getting dotted with reefs, tiny points and white beaches, Siargao is slowly generating a name for itself as the surfing capital from the Philippines, if not the planet. The island itself is regarded for getting a few of essentially the most attractive and untouched gems inside the pacific region. Thanks for the tutorial. While I used a different method I definitely used your tut as inspiration! My initial reaction was ‘awesome!’ It doesn’t look like a DIY project at all. It can pass as an original merchandise of the Hunger Games franchise. Your tutorial has actually got me into thinking the shirt prints I want. This is great! On the top of my list is a shirt with a big paw print in front. :D Do you think it will look as good as that with glitters? @Linda: Don’t you want paw print logo? Hehe! Well, I know that you want to have a one of a kind tee, so you should really come up with a design and color scheme that will make your shirt really unique. :) That’s what’s good about having a personalized shirt -- it’s all you! scorelow House of Golf are the golf experts providing all the answers to your golf equipment needs. Visit us on line or in one of our many stores. My daughter is having a Hunger Games Birthday Party this Saturday and I would LOVE a copy of your mockingjay template! Thanks so much!! 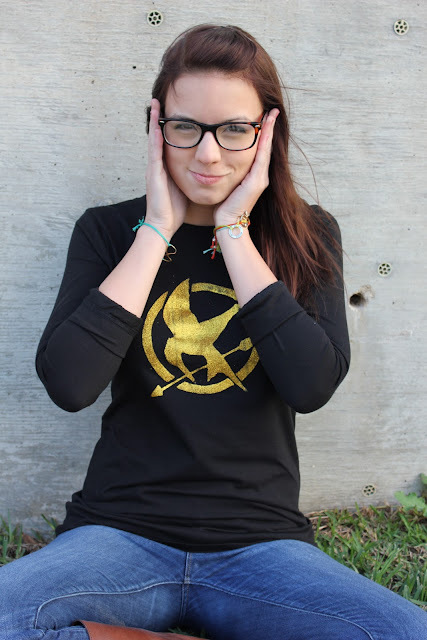 I'm not much into Hunger Games (okay, it's just I haven't consumed the books), but I've been looking on how to stencil and print so I can make a "home-made" band shirt. This tutorial is AWESOME! Thank you so much for your detail! I can't wait to look around at your other posts! 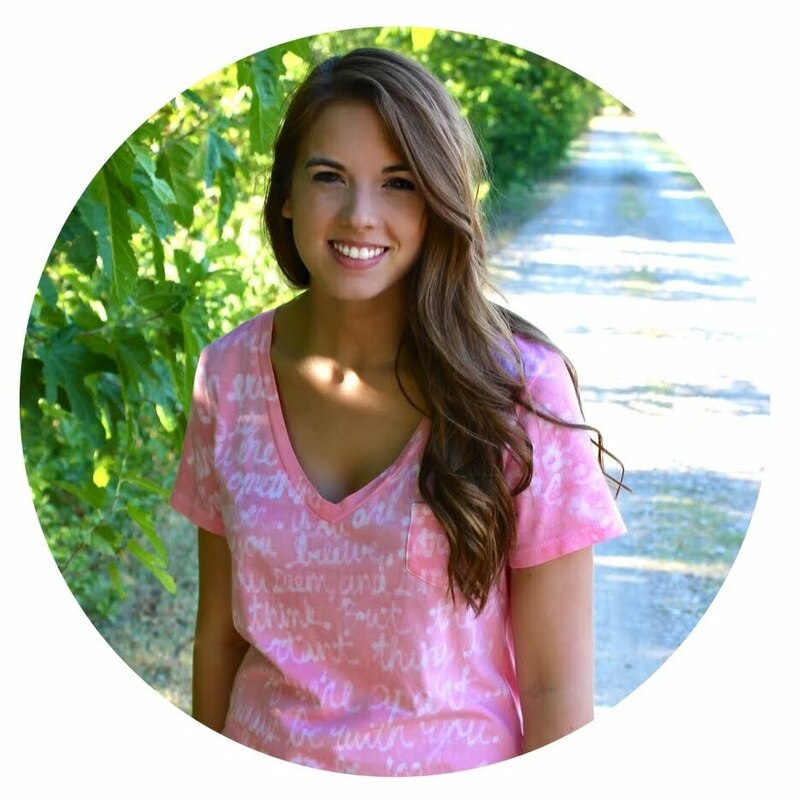 Great blog, girl! T-shirts often have custom printed messages for specific holidays. Getting designer t shirts for ladies can be a perplexing task if you've never done it before. So shop your best t shirts with us now.